1. 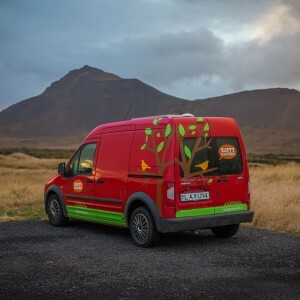 You can rent a car and drive ( €100). 2. You can take a tour bus (€49). 3. You can take the train (€10.8). Option #3 is of course the best one. 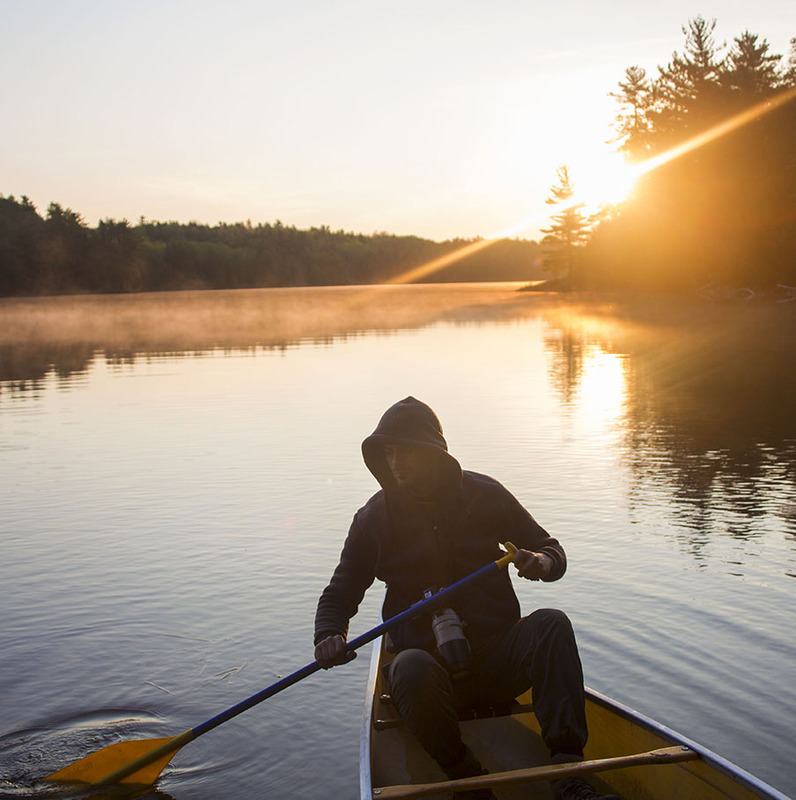 It is not an easy one but the adventure and experience are totally worth the time and effort. 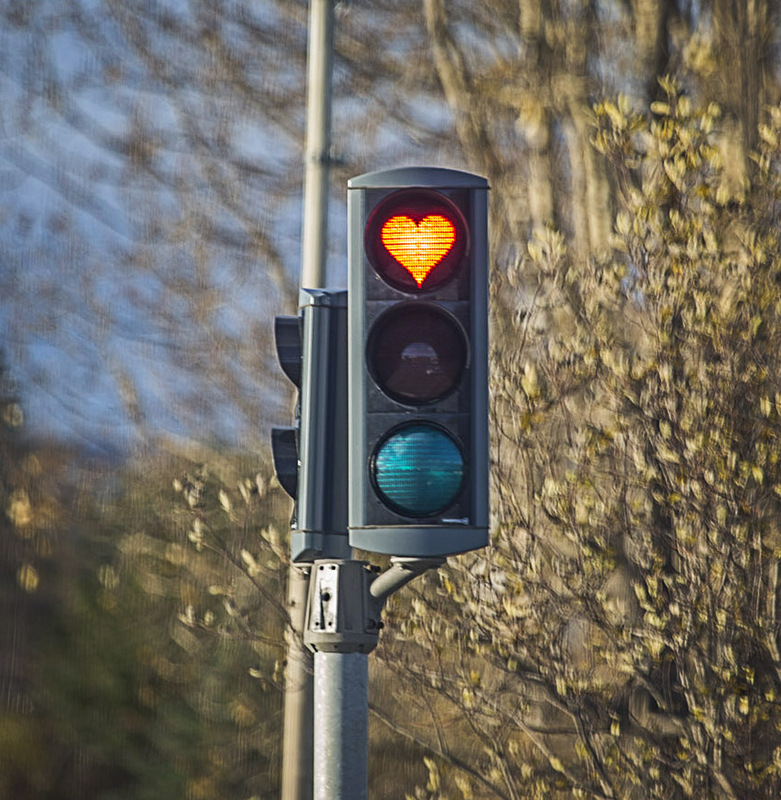 First, you have to walk or take the subway to Espanaya station. Then cross the platform and buy ticket to R5 train, ticket booths are just in front of Line R5 to Manresa. 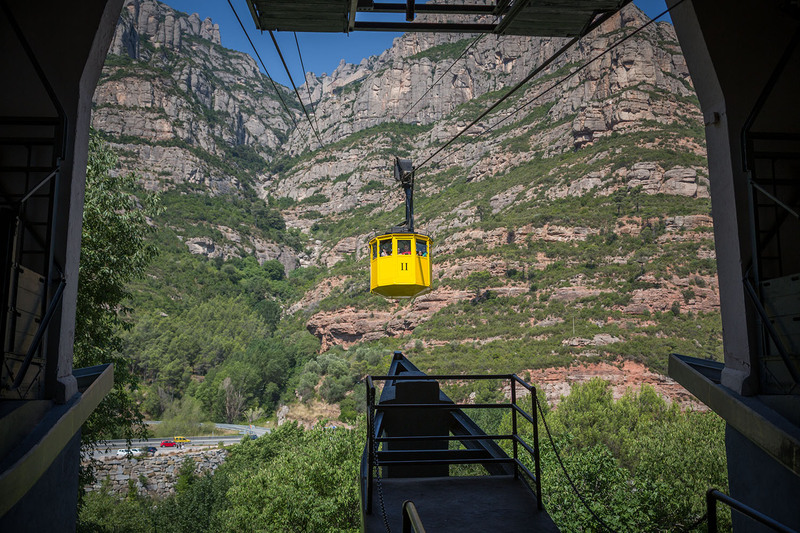 Before you purchase your ticket you need to decide if you want the Cable Ride to the Monastery or do you want the Cremallera Funicular ride to the Monastery. Once the ticket is bought and printed you will then ride 23 long stops. 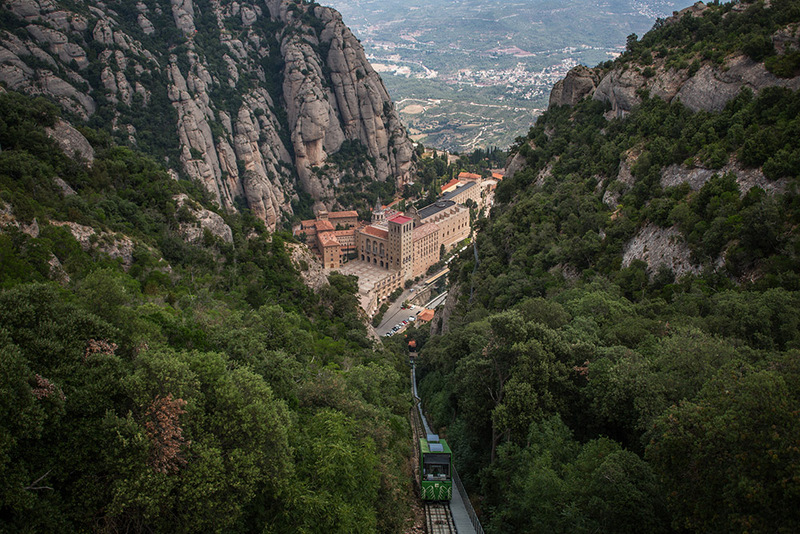 If you picked Cable Ride you should get out on Aeri de Montserrat stop, funicular stop is the one after and its called Monistrol. Easy! 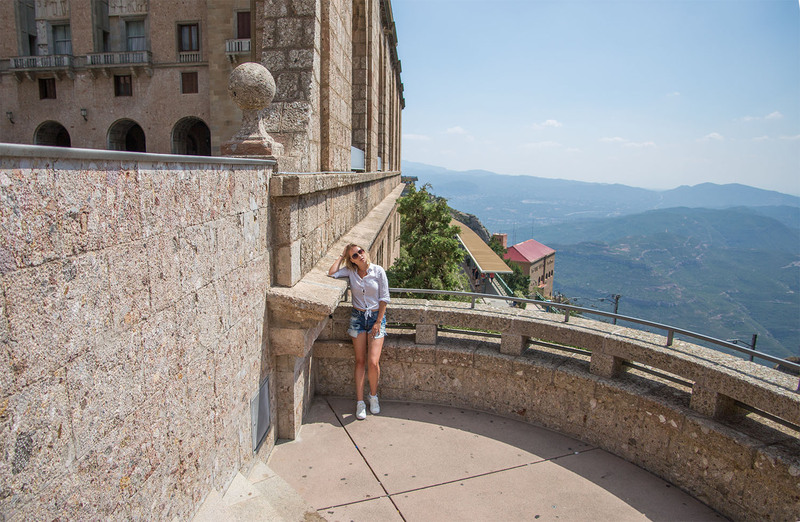 We recommend the cable car ride from the train stop Aeri de Montserrat as it is only a 5 minute ride. 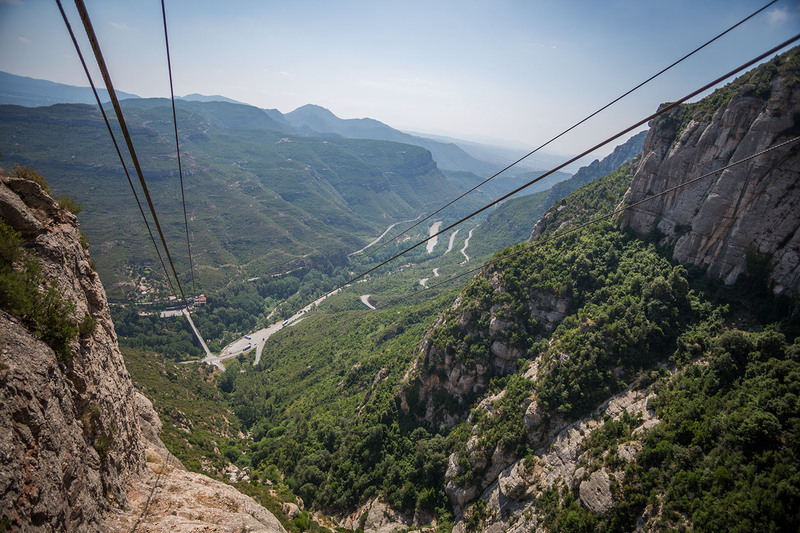 You will have breathtaking views on the cable car ride up to the views of some of the most unusual rock formations in the whole of Catalonia. What is Montserrat and why should you go there? It is Spain’s first National park, it has various hiking trails that vary from easy to back breaking climbs to Sant Jeroni (1236m). The park is teeming with wildlife. 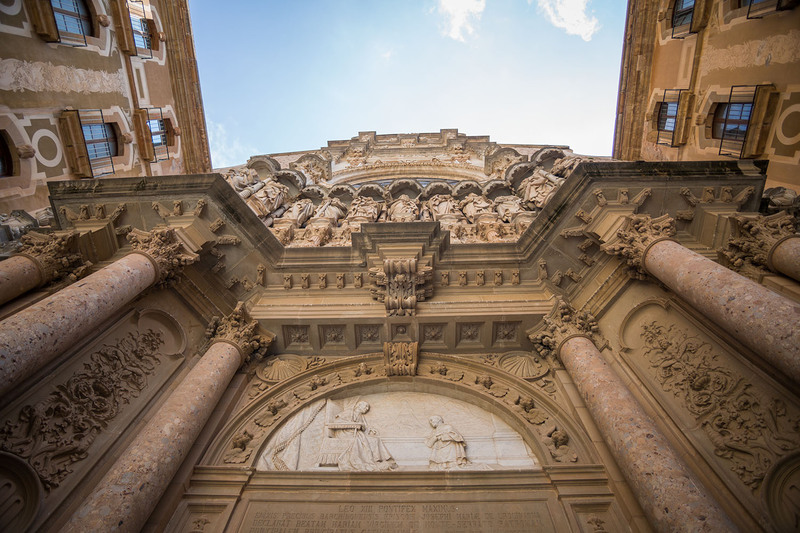 There is also Benedictine abbey that houses one of the black Madonnas that pilgrims from around the world come to see. Museum anyone? Yep, Montserrat has that too. Napoleon even named an island after it. Try to get there early: there will be way less people and you have enough time to go on an awesome hike and don`t have to rush yourself. Bring snack, the food is quite expensive there. Don`t throw out your bottle of water, there is a water fountain and you can keep refilling it for free. The views are breathtaking and not for faint of heart. If you have a fear of heights like me, you will have a blast there. 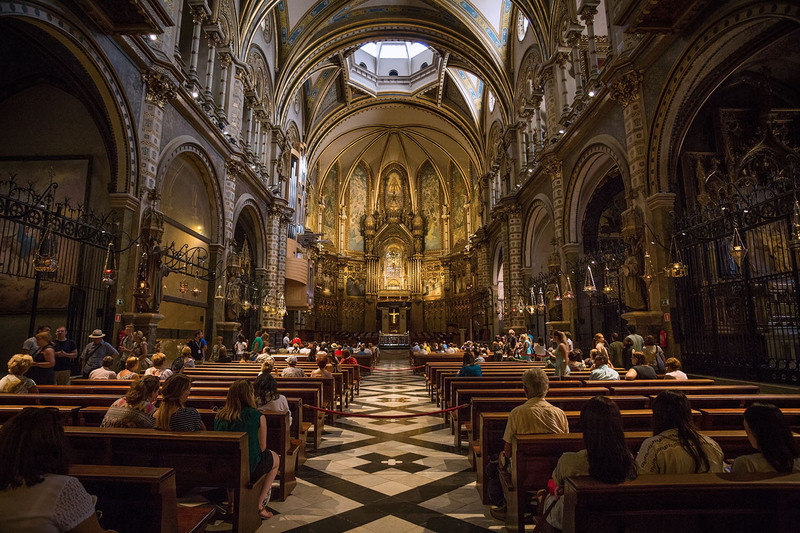 The church’s architecture differs from standard Catholic place of worship. There is something spooky about the gloomy architecture of Benedictine monks. Maybe it was the solitude and hours of silence observed by the monks that lead to their strange taste in architecture and design. For a small fee, you can place a candle in a colorful jar. 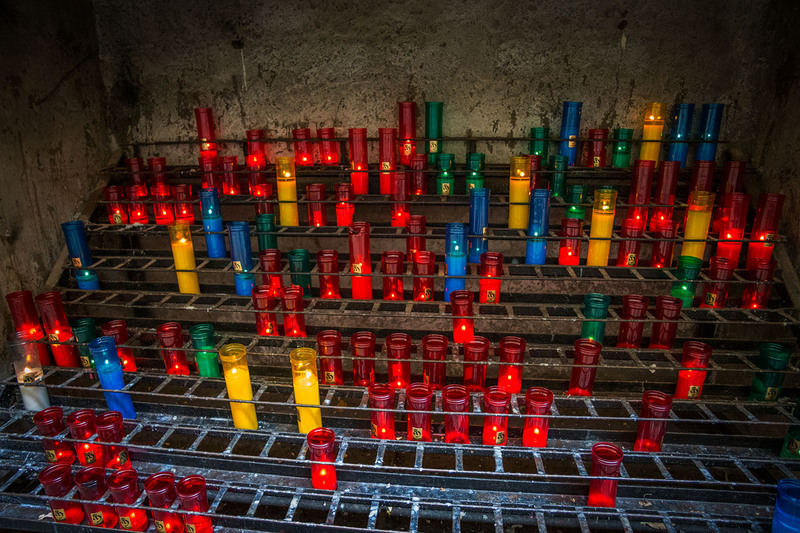 The alley of candles is not to be missed. From the main church entrance, make a left and follow a path that hugs the church. The entrance to the church is free. The lineup to see and kiss the black Madonna is quite large and you will stand outside for an hour or so. The whole experience is not that exciting. Basically, you will be shepherded to the second level in a single file and then have a few seconds to kiss the Madonna before the crowd pushes you along. Apart from the church, there are a few gift shops, restaurant and a museum. The entrance to the museum is not free ($7) and we decided to explore the surrounding hills. There is a map behind the church that details all the hikes, monuments in the area but we didn’t understand anything. So rather than ask, we decided to follow the stairs to see where they will take us. 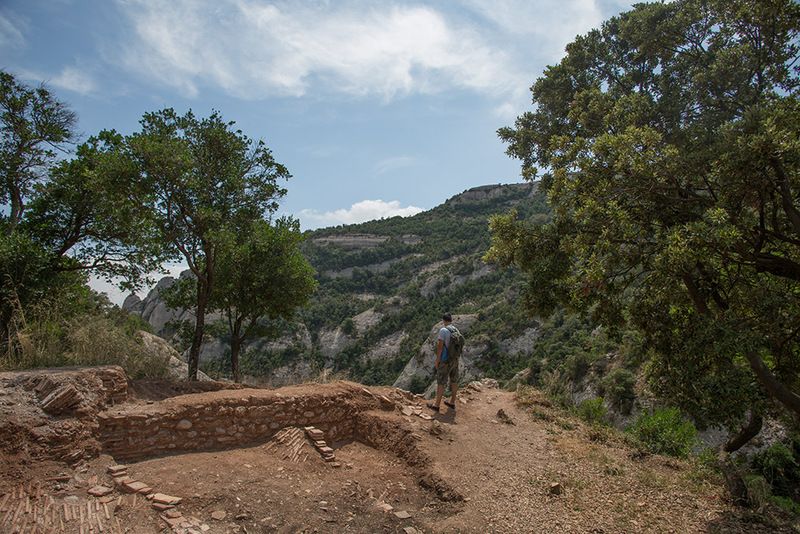 Fast forward 3 hours of arduous climbing in sweltering heat, and we made it… to a breathtaking hill. While climbing, we realized that we haven’t seen anyone for a very long time. Apparently, the hikes are not as popular as the church and the museum. Luckily for us, we finally found a quiet, tourist free zone in Spain. 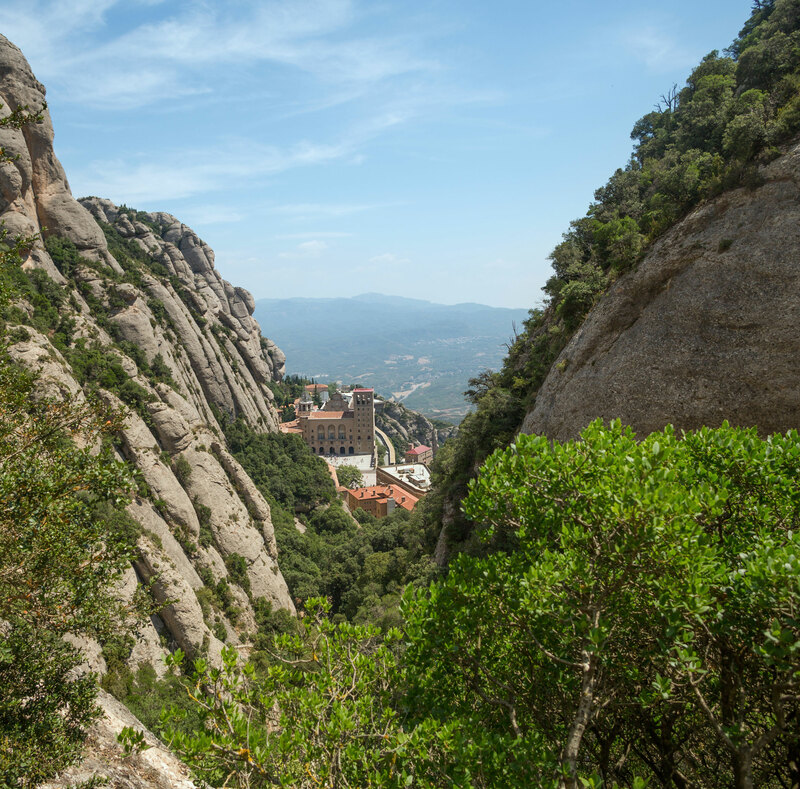 If you plan on visiting Montserrat and have spare energy, we highly recommend the climbs. Yes, they are challenging but full of rewards. There are remnants of reclusive monk dwellings. The views from vistas are breathtaking. The jagged mountain peaks spark the imagination and it is easy to see where Gaudi got his inspirations. The park is also a wildlife sanctuary that has boars, snakes and lots more. 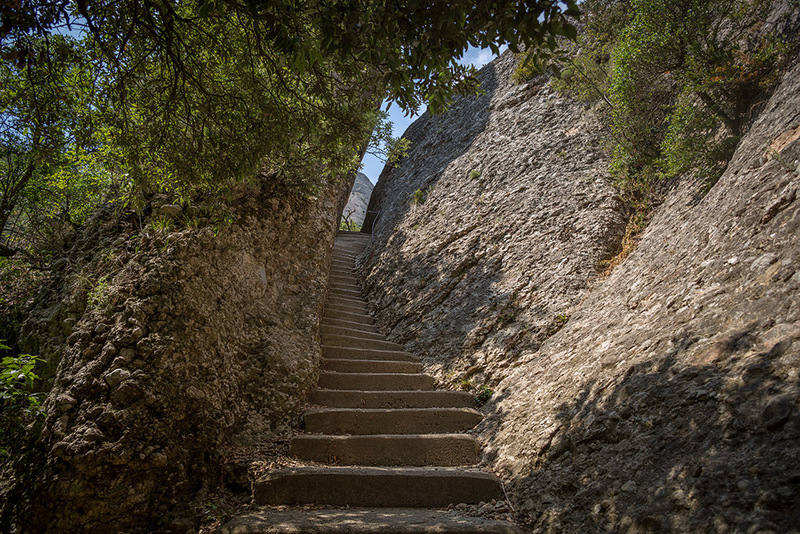 Once you get to the very top, you can either walk back down or take a funicular Sant Joan down. It costs (€ 6.80/PP) one way though. If you don`t feel like hiking to the top you can take funicular both ways. 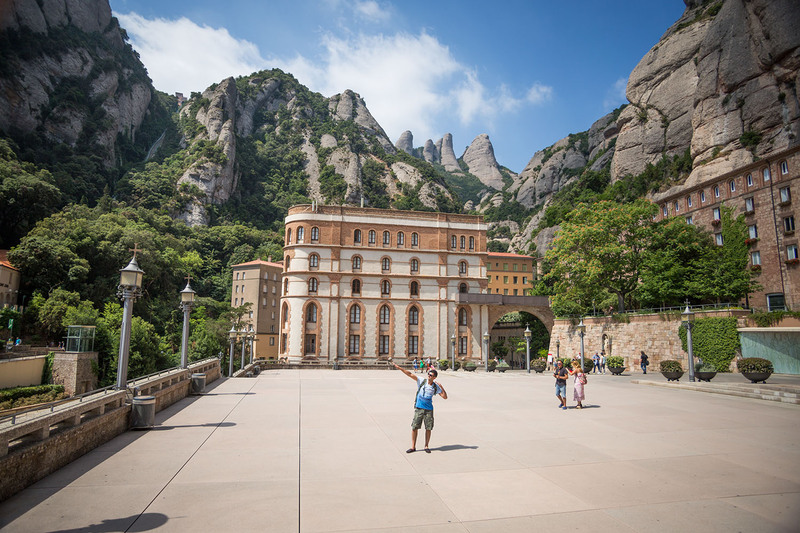 Bring your camera, sturdy shoes and be prepared to be left in awe from Montserrat. 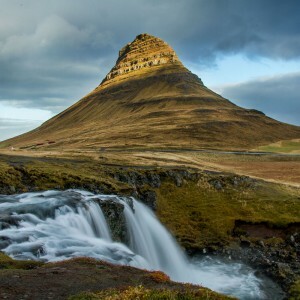 Through our website, we want to share our stories, photographs and hopefully the information might help someone on their trip or even awaken their own wanderlust.